To Raise the Water Level in a Fishpond (1997). Video of the Performance, Beijing, China. 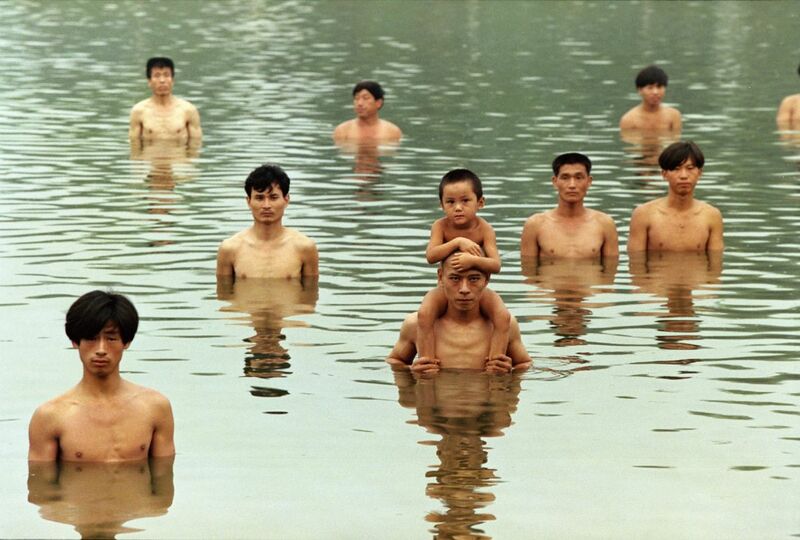 Zhang Huan, To Raise the Water Level in a Fishpond. Performance, Beijing, China (1997). Courtesy of Zhang Huan Studio. Born in He Nan Province, China in 1965. Lives and works in Shanghai and New York. Chinese artist Zhang Huan is working primarily in performance art, including photography and sculpture. By using quasi-religious ritual, Huan seeks to cross-point between spiritual and the corporeal, including simple repetitive gestures. Buddhist music, art and philosophy are a prevalent theme in Zhang Huan’s work. Zhang’s performances involve his body in various ways, further addressing social issues such as the power of unified action to challenge oppressive political regimes; the status and plight of the expatriate in the new global culture; the persistence of structures of faith in communities undermined by violent conflict; and the place of censorship in contemporary democracy. The VENICE INTERNATIONAL PERFORMANCE ART WEEK 2014 shows the film of the 1997 group performance To Raise the Water Level in a Fishpond. For this group performance, Huan asked 40 migrant labourers to stand in a pond, their physical presence, presumably, altering its volume. Courtesy of Zhang Huan Studio and Pace Gallery, New York.